I’ve travelled around much of Australia, by foot, by plane, by train and by bus, but mostly by car. As I travelled across all those kilometres and many decades, I never realised that, without ever knowing, I would be silently crossing from one country into another, while underneath the surface of the landscape flashing past, languages were changing like the colour and shape of the grasses or the trees. The parallel universe of Indigenous languages is unfortunately an unexpected world little-known to most Australians. For almost seven years I worked with hundreds of Indigenous community language activists, some professionally trained in languages, most not, who were working day and night to bring their languages back into everyday use. If they stumbled across a single missing word – in some library archive or vanished book ­ – the excitement was palpable. It was like finding a long-lost relative. Words for sister, brother, mother, father, long thought lost, suddenly leapt out at them. Ironically, often it was the missionaries, most interested in streaming a message about their religion from English who codified and recorded the local languages and, as a result, laid an unwitting basis for this later work. The process these languages activists are trying to reverse – the decrease in the use of the Australia’s own languages over many generations – did not happen spontaneously. As Australia was progressively settled it was common practice to discourage or actively suppress people’s use of their ancestral languages. If the language activists taught me one thing it was that underneath the surface language was everywhere and in everything. Growing up I’d always been fascinated by languages. When I was a student in Tasmania the school, not that rich and ready, reached deep and managed to buy a vast set of the Encyclopaedia Britannica, massive densely printed volume after volume. It was as if I’d been airlifted onto a different planet. At lunch time I used to sit in the library sifting through the massive tomes, copying detailed notes about hundreds of languages. Despite this slightly obsessive fascination I’d never been interested in Australia's own languages - the Indigenous languages which are spoken nowhere else in the world. It was only when, almost by accident, I came to be managing Indigenous Languages Support, a national program run by the Australian Government supporting the maintenance and revival of Indigenous languages, that my interest grew. The local and regional Indigenous languages centres and languages workers who laboured hard to save the many hundreds of languages made me aware of what a treasure trove there was right in front of us. It was a living, contemporary part of Australia’s immense cultural heritage from long before European contact. It was as a result of this insight that the whole Indigenous languages universe unfolded. It reminded me of how years earlier, when I was much younger, I had felt disconnected with Australia. We were a restless generation, struggling to understand what it meant to be Australian in a world full of other people’s stories. I only came to understand some of the things that were distinctive about life on the Australian continent by thinking about the scale of the physical landscape in terms of other similar large countries, like Canada and South Africa. Coming to awareness about the riches of Indigenous languages is the final part of the process that started 45 years ago to feel at home in the skin of my own country. The hidden world of language is the foundation that holds up the ongoing construction of our culture in all its variety and complexity. Once you look beyond individual words and start talking about grammar, suddenly you are in the realm of world views and entirely different way of being able to say things. If you can’t say it, can it really exist? Ways of looking at time, where you fit in the world, how you are connected to every other person are all matters for language. I remember once being at a languages forum in Newcastle and hearing the hip hop song ‘Blackfellas’ played loud, a song of assertion by the Newcastle band ‘Local Knowledge’, with its roll call of Indigenous languages from across the nation. Blackfellas is sung in English but at a critical moment the song pauses and breaks into the local Awabakal language of Newcastle. Listening to it in that place I recognised the powerful link between popular culture and languages. Much later I in turn was talking to a large group who weren’t familiar with Indigenous languages and the Australian Government program which helped support their maintenance and reclamation. I decided that nothing I could say could better it, so I played ‘Blackfellas’ to them and blew them away. It is often said that there were 250 Indigenous languages spoken in Australia when Europeans arrived. But numbers are a matter of interpretation. I remember being at a meeting in Brisbane once when someone stated emphatically that were not only 250 languages in Australia, in fact there were 250 languages in Queensland alone. It reminds me of the famous saying about languages and ‘dialects’ that underlines how arbitrary the distinction is – ‘a language is a dialect with an army and a navy.’ More strikingly in the case of Hebrew, perhaps the world’s most famous ‘reclaimed’ language, a language is a dialect with an army and a navy and nuclear weapons. To come to grips with the immense diversity and interrelationship of Indigenous languages in Australia and to get away from the unhelpful confusion between languages and ‘dialects’, community language workers are developing a new map of languages. This will help locate all the many language families and the languages which make them up. I think at a late age suddenly finding the many languages of our country makes me realise that the passion to save them is, more than anything else, about a love of language and a language of love. How else can you explain the intense effort of those who labour to save them? It’s love for this crazy wide land, rich and diverse, full of contradictions, promising but disappointing, always hopeful but never quite reaching the levels of which it is really capable. I was deeply impressed by the Indigenous languages activists I encountered, labouring away day after day, determined to succeed, with their dictionaries and wordlists and grammars, rushing to interview Elders who may be the last living speakers of a language, before it is too late. They are digging language out of the ground, rescuing histories from thin air. If Earth was ever threatened by an alien invasion from another galaxy, with its languages at risk, these are the people I’d want in my corner. For further information see First Languages Australia. ‘What interests me in exhibitions about Aboriginal Australia is what they mean for Australians generally, even if most Australians won’t ever see them. After a mere 220 years, in many ways we are still only part way through making our home here. We haven’t yet figured out how to navigate this land properly. When I was at school we learned about so many doomed explorers misinterpreting the country, unable to find their way. Burke and Wills were the perfect examples, undone because they were unable to learn simple lessons offered by the local people on how to make edible the vast supplies of food surrounding them. They starved to death in a field of plenty. 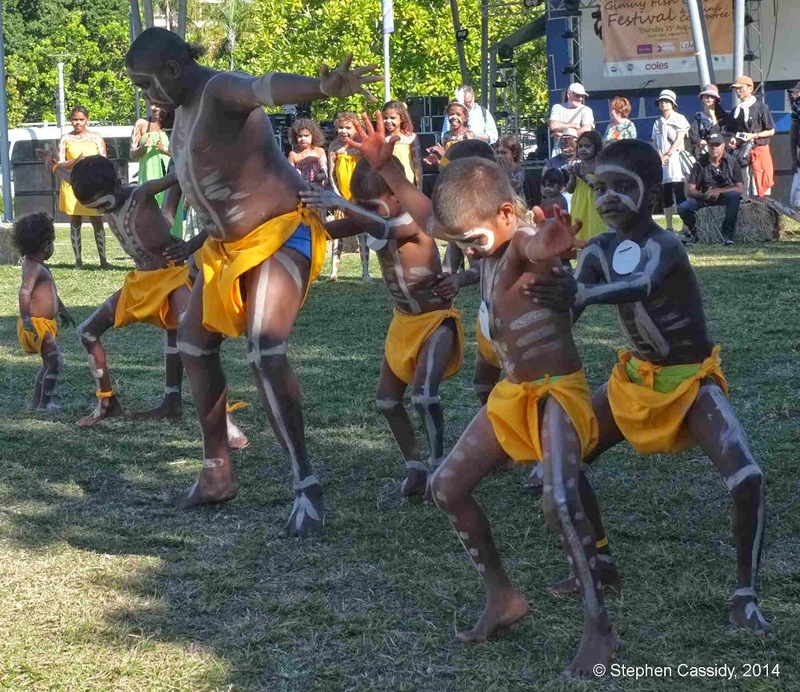 It made me realise that we can gain a much richer grasp of Australia through recognising that First Nations culture and heritage is part and parcel of our own Australian heritage’, Songlines – an ancient culture for a contemporary world. ‘Cultural research has long term impacts in terms of our developing body of knowledge which stretch far into the future. Researchers are finding stories in our major cultural collections that were never envisaged by those originally assembling them – a process that will continue long into the future. The collections of our major cultural institutions are becoming increasingly accessible to the very people the collections are drawn from and reflect. In the process they are generating greater understanding about some of the major contemporary issues we face’, History all around us – the long term practical impact of cultural research. ‘What is especially significant about the Prime Minister, in his Closing the Gap address, recognising the importance of Indigenous languages is that this is the first time a Liberal leader has expressed such views. It’s exciting because for progress to be made it is essential that there is a jointly agreed position. This moment arises from the tireless work over many decades of hundreds of Aboriginal and Torres Strait Islander language revivalists – surely one of the great positive unsung community movements in Australian history. By their hard work they have managed to change the profile of Indigenous languages in Australia. Unfortunately the address reinforced the tendency of government to overlook the success stories that are already happening in local communities and look for big institutional solutions. I hope it doesn’t turn out to be a missed opportunity’, The language of success – recognising a great unsung community movement. ‘The inaugural Victorian Indigenous literary festival Blak & Bright in February 2016 was a a very important event for Australian cultural life. It aimed to promote and celebrate a diversity of Aboriginal and Torres Strait Islander voices. It raised important questions about how the movement to revive and maintain Indigenous languages – surely one of the great positive unsung community movements in Australian history – is related to ‘Australian literature’. Australian culture as a whole is also inconceivable without the central role of Indigenous culture – how would Australian literature look seen in the same light?’, Literature and languages – inaugural Indigenous literary festival sign of things to come. ‘A single exhibition can sum up many things. By bringing together so many histories, stories and objects – particularly long-absent ones from the British Museum – the 'Encounters' exhibition at the National Museum presented a snapshot of the ongoing living history of Australia. Many strands ran through it, reflecting the complexity of the realities it tried to express. By successfully reflecting on the pressing issues it raised we have some hope of getting beyond the vision of the Great South Land of 18th and 19th Century ambition towards a truly great nation of the 21st Century’, Unfinished histories – encountering ‘Encounters’. ‘The Encounters exhibition at the National Museum of Australia, a once in a lifetime event, makes you realise that astoundingly all this earth-shattering history happened only a few generations ago, so much so that descendants of the Gweagal, those first people Cook encountered, still talk about that encounter in 1770 as though it was yesterday. Despite the continuing concerns about the vast holdings of mostly looted cultural artefacts, the return of these objects, however briefly, will serve to emphasise how recently the British came to Australia, how much more we need to do to be fully at home in this country and how much part of a living, contemporary tradition Aboriginal and Torres Strait Islander cultures are’, When universes collide – Encounters exhibition at National Museum of Australia. ‘The transfer of substantial program funds from the Australian Government’s main arts funding agency, the Australia Council, to the Ministry for the Arts has had the effect of masking serious cuts to crucial programs run by the Ministry, including its Indigenous cultural programs. There have been cuts to overall Ministry program funds stretching long into the future almost every year since the 2014-15 budget, with the long-term trend clearly heading downwards’, Smoking gun – the invisible cuts to national arts and culture funding. ‘There were times in our past when Australia was seen as the great hope of the world – when it offered a vision of a new democratic life free from the failures of the past and the old world. It seems we have turned from our history, from the bright vision of the nineteenth century and the great nation-building vision of the period after World War 2, with its sense of optimism and fairness, towards something much more pinched and narrow – mean and weak-willed. For such an optimistic nation we seem to have developed a ‘half empty’ rather than ‘half full’ view of the glass – and the world. If we want to live in a land to be proud of, a fair country that truly inherits the best of Australia’s traditions, while consciously abandoning the less desirable ones, we need to change course – otherwise we will have to rebadge Australia not as the land of hope but instead as the land without hope’, Land of hope. we are seeing is the steady skewing of Australia’s arts and culture sector as the most dynamic component, the one most connected to both artistic innovation and to community engagement, atrophies and withers. This is the absolute opposite of innovation and excellence. It is cultural vandalism of the worst kind, ‘Having a go’ at Australia’s arts and culture – the Budget Mark 2. ‘We are surrounded by intangible cultural heritage – Indigenous and non-Indigenous – and often it’s incredibly important to us but we can’t seem to understand why or put a name to its importance. So many issues of paramount importance to Australia and its future are linked to the broad cultural agenda of the United Nations Educational, Scientific and Cultural Organisation (UNESCO). In particular they are central to one of UNESCO’s key treaties, the International Convention for the Safeguarding of Intangible Cultural Heritage.’ Valuing the intangible. ‘You don’t have to be part of ‘Indigenous affairs’ in Australia to find yourself involved. You can’t even begin to think of being part of support for Australian arts and culture without encountering and interacting with Indigenous culture and the Aboriginal and Torres Strait Islander communities and individuals who make it and live it.’ The Magna Carta – still a work in progress. ‘If you are convinced you have heard all of Australia’s great stories, think again. If you consider you know something about Indigenous Australia you probably need to start from scratch. Black Diggers, “the untold story of WW1’s black diggers remembered” is a great Australian story. Why over a thousand Aboriginal and Torres Strait Islander Australians left their communities in remote Australia or our regional cities or the big state capitals to travel overseas to fight and die in the European trenches far from home is part of a larger Australian story. Why they would bother when they were not even recognised as Australian citizens in their own land is a story all their own – but a story relevant to every Australian’, Black diggers - telling war stories.